An Australian woman, who was rendered a quadriplegic due to an injury at an ITDC hotel in Delhi 35 years ago, has been granted compensation to the tune of Rs 6.5 crore by a bench of Justice S. Ravindra Bhat and Justice Sudershan Kumar Misra of the Delhi High Court, on Friday. 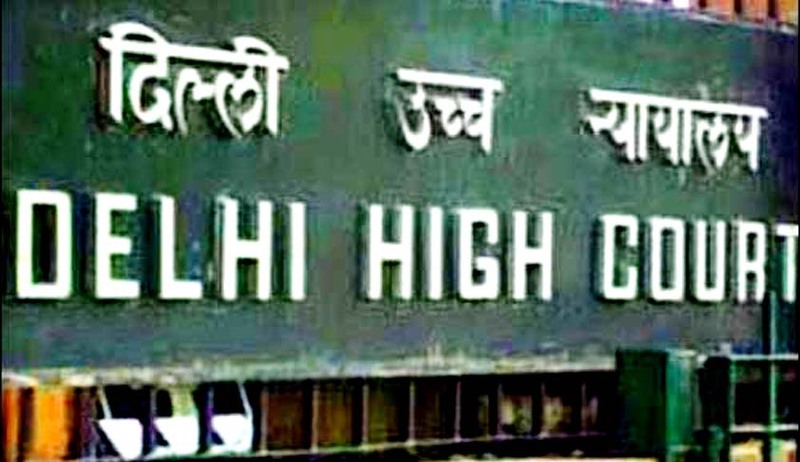 The Appellant Indian Tourism Development Corporation (ITDC) had challenged the judgment of a single bench of the Delhi High Court. The respondent, Susan had made the claim on the basis of a swimming pool injury suffered by her in 1978, at the Akbar Hotel, maintained by the ITDC, due to which she had become a quadriplegic. Susan was an experienced swimmer- a Queensland (Australia) under-age champion. She had alleged that the injury was due to ITDC’s negligence in maintenance of the pool. This fall led to Susan suffering serious head and back injuries and being unable to swim out of the pool. After a prolonged hospitalization in Delhi, accompanied by a neurosurgeon and another doctor, she was flown to Australia. The suit claimed that the incident speaks for itself and the plaintiff is entitled to the benefit of the maxim res ipsa loquitur.. In the common law of negligence, the doctrine of res ipsa loquitur (Latin for "the thing speaks for itself") states that the elements of duty of care and breach can sometimes be inferred from the very nature of the accident, even without direct evidence of how any defendant behaved. The burden then shifts on the defendant to show that the accident is not a consequence of the negligence of the defendant or that the accident could not have been avoided by exercise of ordinary care and caution on part of the defendant. The Court held that Susan’s injury leading to quadriplegia is one that does not happen in the ordinary course of things, on jumping into the shallow end of the pool, especially given her status and background as a champion swimmer. Hence, the maxim was in fact applicable and, consequently ITDC failed in discharging its burden of proof as regards the possible explanation for the plaintiff’s injury. She had also alleged that the delay in the proceedings was caused by tactics employed by ITDC, while the plaintiff was diligent in pursuing the litigation with great diligence, having completed recording all evidence in 1991. ITDC on the other hand, had asserted that the injury was due to the plaintiff’s own negligence and ITDC couldn’t be held liable for it. It contented the contention that any express or implied obligation existed on the part of the hotel in this regard. The written statement alleged that the injury caused to Susan resulted in her not remembering facts in respect of what had actually happened. The Court reiterated Lord Atkin’s stand in the landmark common law case of Donoghue v Stevenson dealing with tort law and asserted that duty of care exists when it is reasonably foreseeable to the defendant that the plaintiff would suffer injury or damage by the act or omission of the defendant. Caparo Industries plc v. Dickman which reiterated the stand was also referred to. The Court thus, agreed with the findings of the Single Judge that ITDC had not fulfilled its duty of care towards maintenance of the pool. It was asserted that the attempts to prove that plaintiff was a liar despite clear and convincing answers from her end, shows a stubborn desire to somehow wrest arguing points for the final hearing. The transcript of oral depositions - a reading of which was at once revealing and disconcerting, highlighted the futility of the process in this case. The line of questioning also showed ITDC in a poor light as callous and insensitive. That it is a public sector organization only aggravates the disregard for the suffering undergone by the plaintiff. In order to restore Susan to the position she was in, prior to the injury, the Bench said that it was imperative to grant her damages to an amount that is equivalent to the amount spent on medical expenses/lost earnings in her currency. The total decretal sum was thus be modified to ₹ 1,83, 24,906.39, with an interest rate of 9.17% per annum from date of suit (22.01.1982) till the date of the decree (03.03.2011) and 10% future simple interest, making this judgment an important advancement towards the expansion of tort law liability in the country.